Once you use Water Lily Soap you will not want to be without it. A very pleasing fragrance. The Wonderful fragrance of Roses - considered to be a supreme healer of body and soul. NEW for Summer 2018! Dark pink with a light watermelon scent. White Tea has a subtle, but lovely scent! This straight-from-the-orchard red apple fragrance evokes visions of steaming apple pies. Love the feeling of smelling a delightful bouquet of fresh fragrant roses freshly picked. A sweet fragrance, with nuances of carnation and base note of soft lingering musk. Tangerine, Grapefruit, Lime & Sweet Orange Essential Oils make this a delightful and revitalizing citrus soak! Our body powders are all talc-free and always have been since we first started making them over ten years ago. This powder is an almost exotic blend of Vanilla, Sweet Orange, and Spices. Intoxicating! Aromatic and spicy, these salts will help revive a tired body, while uplifing your mood. Rose Oil is considered a supreme healer of both body and soul. Good for most skin types, excepting sensitive. This enticing scent is bright with warm spicy notes and is great as an aftershave, too! Good for most skin types, except sensitive. This enticing scent is bright with refreshingly spicy notes. With sweet orange essential oil and a little vanilla fragrance, this smells delightfully like a creamsicle! Our NEW! Pain Relief Bath & Body Oil contains the essential oils of White birch, Wintergreen and Peppermint - all known for their therapeutic and pain relief properties. So give your sore & tired muscles and/or achy, stiff joints a luxurious hot bath and let the oils soak into your open pores and ease the pain away. Or massage oil directly onto sore and achy areas. Relax and enjoy the soothing properties of bath salts while immersing yourself in the fragrant aroma of roses! New! 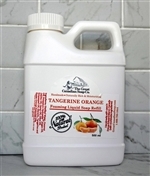 Tangerine Orange Liquid soap is now available! With a very cheerful, citrusy smell, what's not to like? New! Island Berry Liquid soap is now available! We have had many requests....Berry lovers enjoy! Rich and moisturizing with the elegant scent of roses! 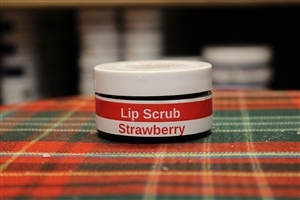 Now made with 90% organic shea butter! Rich and moisturizing with the elegant scent of magnolias! Fresh and floral, our water lily fragrance has been popular as a soap fragrance with our customers for many years.